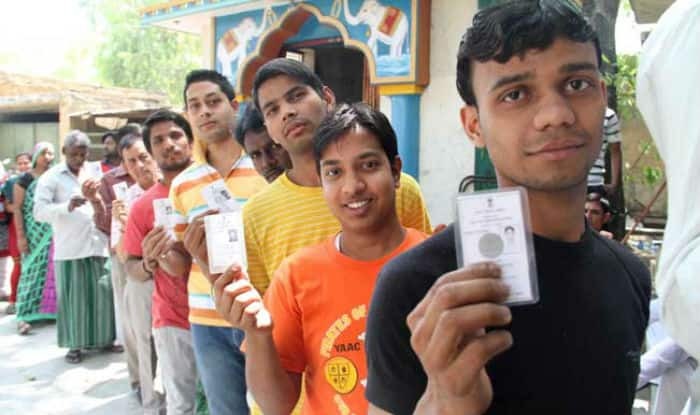 Nagina, Amroha, Bulandshahr and Hathras seats in Uttar Pradesh will go to polls in Lok Sabha Elections 2019 phase 2 on April 18. The counting of votes will be conducted on May 23. Nagina, Amroha, Bulandshahr and Hathras will go to Lok Sabha Elections 2019 in phase 2 on May 18. Nagina constituency has 1,196,566 total number of electorates, as per the Election Commission of India (ECI) 2009 data. The seat is reserved for Scheduled Caste candidates. In 2014, the seat was won by Bharatiya Janata Party’s (BJP) Yashwant Singh against Samajwadi Party’s (SP) Yashvir Singh. For Lok Sabha Elections 2019, the Bahujan Samaj Party (BSP) has fielded Girish Chandra against Congress’s Omwati Devi Jatav and BJP’s Dr Yeshwant. Amroha constituency has 1,173,915 total number of electorates, as per the Election Commission of India (ECI) 2009 data. In 2014, the seat was won by Bharatiya Janata Party’s (BJP) Kanwar Singh Tanwar against Samajwadi Party’s (SP) Humera Akhtar. For Lok Sabha Elections 2019, the Bahujan Samaj Party (BSP) has fielded Kunwar Danish Ali against BJP’s Kanwar Singh Tanwar. Bulandshahr constituency has 1,482,749 total number of electorates, as per the Election Commission of India (ECI) 2009 data. The seat is reserved for Scheduled Caste candidates. In 2014, the seat was won by Bharatiya Janata Party’s (BJP) Bhola Singh against BSP’s Pradeep Kumar Jatav. For Lok Sabha Elections 2019, the Bahujan Samaj Party (BSP) has fielded Yogesh Verma against BJP’s Bhola Singh. Hathras constituency has 1,437,725 total number of electorates, as per the Election Commission of India (ECI) 2009 data. The seat is reserved for Scheduled Caste candidates. In 2014, the seat was won by Bharatiya Janata Party’s (BJP) Rajesh Kumar Diwaker against BSP’s Manoj Kumar Soni. For Lok Sabha Elections 2019, the SP has fielded Shree Ramji Lal Suman against BJP’s Rajveer Singh Balmiki (Diler) and Congress’s Trilokiram Diwakar.